Kula Annex Yoga Studios, a Toronto-based yoga studio hired several illustrators to create artwork for a series of promotional postcards. The idea for my illustration came to me as I was eating a bowl of fusilli (FACT: 83% of my waking life is spent eating pasta. And 59% of my sleeping life). 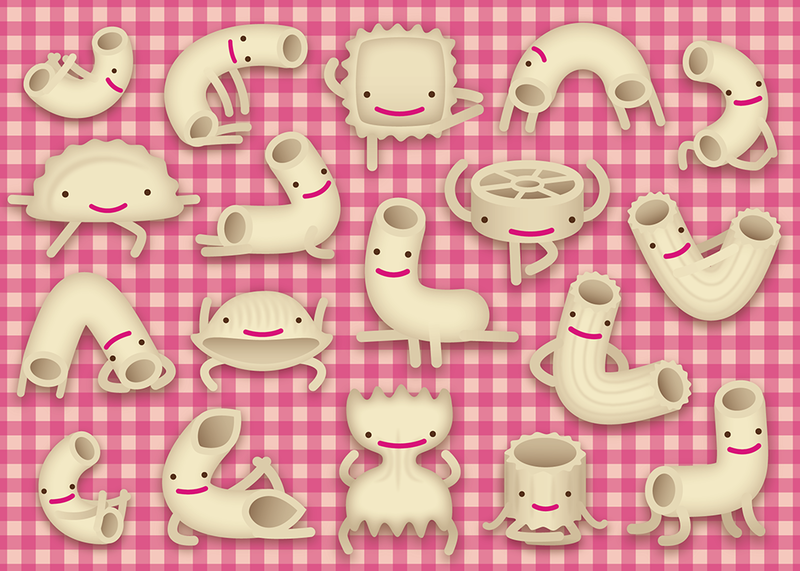 I find pasta visually-interesting due to the sheer variety of shapes, and I thought it would be fun to personify them, showing them stretched and contorted into yoga poses.